Being a responsible dog owner, there is no greater responsibility than to ensure your dog is perfectly healthy and has the potential to grow big and strong. The only true way you can make sure his overall health is in good shape is to feed him the best dog food for allergies. You see, dogs stand a high chance of developing symptoms that lead to debilitating food allergies, which may even considerably shorten your dog’s lifespan. Therefore, you need to take this seriously. Have you ever seen your pooch furiously scratch himself? Does he itch a lot? Do you have to take your canine buddy to the veterinarian often for ear infections? 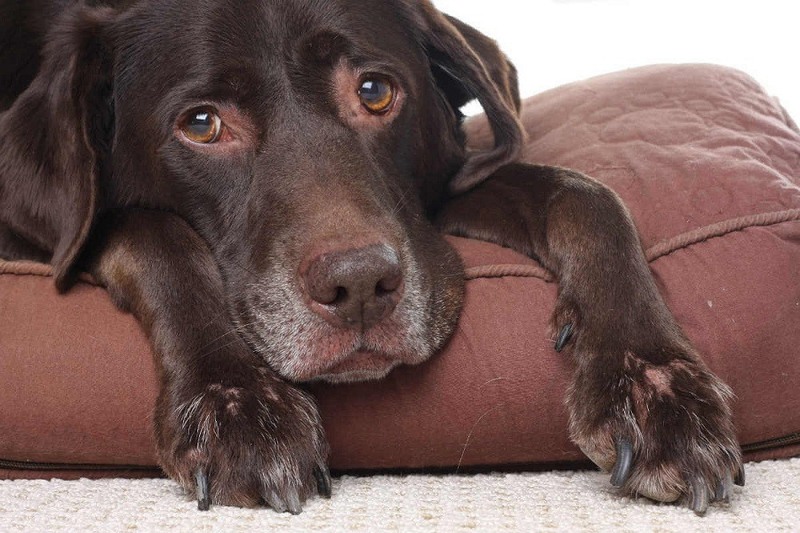 If so, it is important to understand that you may be exasperating your dog’s symptoms without considering the possibility that he may have a food allergy. There is no question that food allergies in dogs are a serious concern. However, it is also important to understand what a food allergy in a pooch is. First of all, there is a big difference between food allergy and intolerance to certain foods. 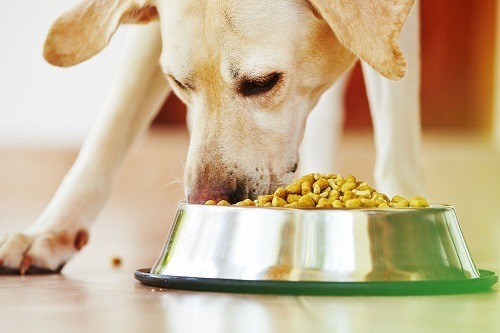 Your dog may suffer from food intolerance because he might have poor digestion. Intolerance to dairy products is a prime example of food intolerance. Don’t feed him dairy products and he will be fine. Food allergies, on the other hand, are a dangerous over-response of the pooch’s immunity to an unwelcomed protein in his system. There are several types of proteins that a dog may be allergic to. 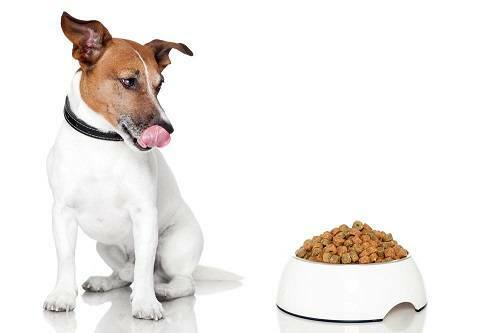 What most dog owners do not realize is that there may be several types of those proteins in the dog food you feed him. Sure, meat and lean protein are a source of protein. However, it is important to realize grains, wheat, certain vegetables, and fruits. 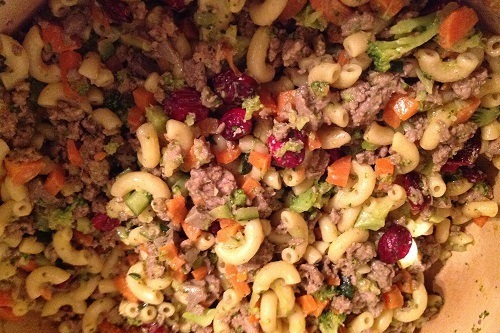 Any one of these dog food ingredients can cause your canine companion to be allergic. Sure, there is no question it can be daunting to select the best foods for your dog with so much variety available. However, what you can do is to provide your dog with hypoallergenic best dog food for skin allergies and give him food for dogs with allergies. The most effective way to determine whether or not your dog has food allergies is to provide a natural, organic diet. According to research, it has been identified that most dogs respond well to a hypoallergenic diet. The results usually come in the first 8 to 10 weeks of initiating the diet. During this safe experiment, it is vital to feed your pooch the allowed diet and nothing else besides it. This means you have to refrain from giving him commercial rawhides to chew on, conventional doggy treats and everything that you have been giving him. This is because even if he eats a spoonful of his regular diet, his symptoms may exasperate and you may not be able to identify which foods he is allergic to. After you have successfully determined whether or not your dog has food allergies, the next step is to choose the right dog food for him. It is imperative that you discuss this with a professional and experienced veterinarian. The benefit of the best dog food for allergies is the fact they are formulated in a specialized manner, disallowing allergenic and artificially enhanced ingredients. This is true in top quality brands. This is why these hypoallergenic foods are safe for dogs to consume. Some of the most common ingredients or proteins that can cause dog food allergies include lamb, wheat, eggs, soy, corn, grains, and chicken. If your pooch is allergic to certain foods, an effective way to ensure he does not have an allergic reaction is to look for these common ingredients at the back of all dog food cans or packaging. It is always better to be safe than sorry. A different way of approaching this is to change your dog’s diet and switch to the best grain free dog food for skin allergies that are made using special formulas. If the hypoallergenic food you bought is good for your dog and he has immediately stopped showing allergic symptoms, you may not ever need to switch the brand you are using. However, the opposite is also true. You may never be able to figure out what it exactly your canine companion is allergic to. Narrowing your search for the best food for dogs with skin allergies isn't difficult as the markets are full of varying products. Although the local supermarket may not carry a good variety hypoallergenic dog food, looking for top quality brands in pet and feed stores is by far the best way you can find the most suitable brand. Moreover, you can also order dog food online. However, be sure to ask for any recommendations your local veterinarian may have. If he suggests something, go for it. This is also true if you want to place your canine buddy on a novel diet and plan it for the long run. The most effective way of ensuring your dog remains food allergy free and does not show symptoms of long-term health issues is to put him through a process or food elimination trials. 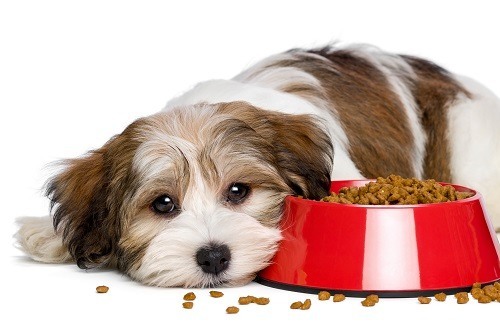 Food elimination trials include replacing certain diets that you suspect are causing your dog problems. However, it is important you do this after you have your dog’s blood sample thoroughly analyzed. On the other hand, understand that these food trials are in no way a foolproof technique to determine what types of food your dog is allergic to. On a side note, during the food elimination or trial process, it is important you abstain from giving your dog food items such as peanut butter, process meat, cheese, wheat, grains, etc. This is a vital aspect of a hypoallergenic food trial and giving him scraps of the items above may exasperate his symptoms. It will have no allergenic ingredients such as corn, wheat, grains, etc. Moreover, a healthy and hypoallergenic dog food brand will also be full of essential vitamins and nutrients as well as powerful antioxidants and Omega-3 and six fatty acids. A combination of these nutrients can help with your dog’s overall development. Taste of the Wild hypoallergenic food for dogs is packed with natural ingredients guaranteed to help your dog steer clear of developing food allergies and to help him grow big and strong. The special canine formula contains naturally processed salmon as the primary source of protein. Moreover, the product is grain and wheat-free and also contains sweet potatoes that will help boost the digestive process of your beloved canine. Plus, the formula for both the fish and the potatoes also enhance the delivery of antioxidants that will considerably minimize your pooch’s chances of developing medical problems associated with daily living. 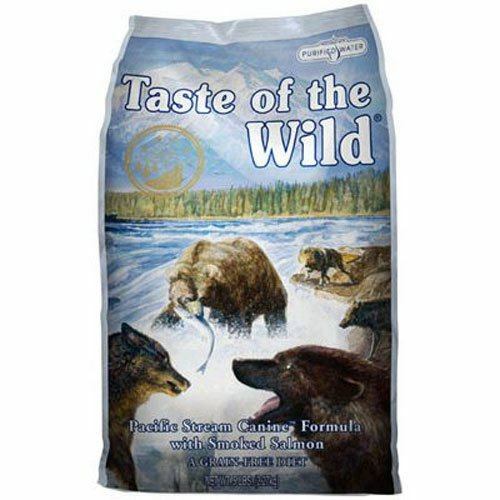 The Taste of the Wild Dry Dog Food is a sure shot way of enhancing his immune system and boosting his overall health. There is no question your dog may do everything he can to not eat his meds, however, you have the evolutionary advantage over him. 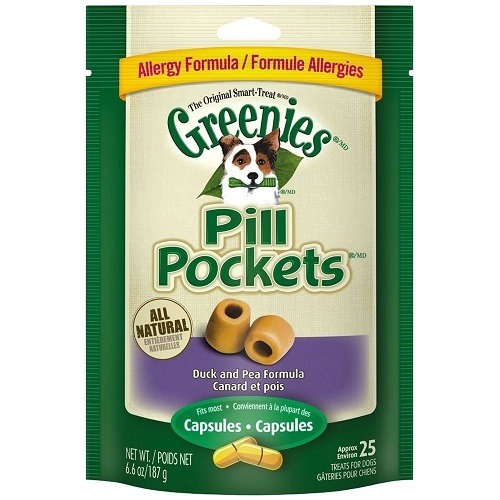 The Greenies Pill Pocket hypoallergenic treats is a perfect solution to keeping your dog healthy and away from developing symptoms of food based allergies. These dog treats are ideal for dogs that are sensitive to several different types of foods and are also susceptible to skin allergies. The pill pocket treats are designed to effectively ensure your dog takes his meds along with eating organic foods. 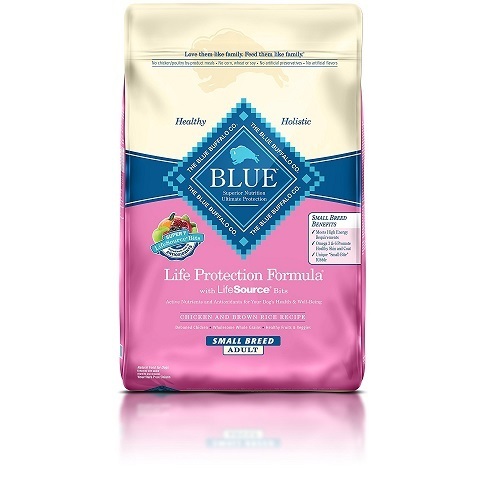 The Blue Buffalo Life hypoallergenic dog food is ideal for dogs that are susceptible to skin and food allergies. The product uses naturally and organically processed chicken meat and other proteins such as lamb and fish. However, the product does include whole-grains, so it is important to have your dog tested. The life protection formula also includes natural, garden varieties of vegetables and fruits. Moreover, the dog food also contains the ultimate combination of nutrients and vitamins. The product does not contain corn, soy or wheat, and there are no artificial ingredients added. 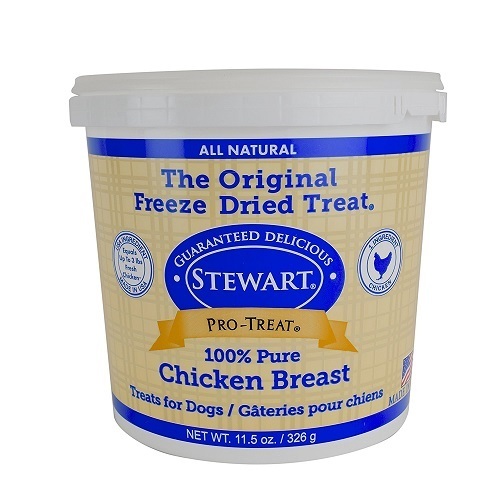 The Steward Freeze Dried treats for dogs use hypoallergenic and organic ingredients. There is no doubt chicken is a healthy form of lean protein for your dog as it helps to develop his muscles and supplement his growth. 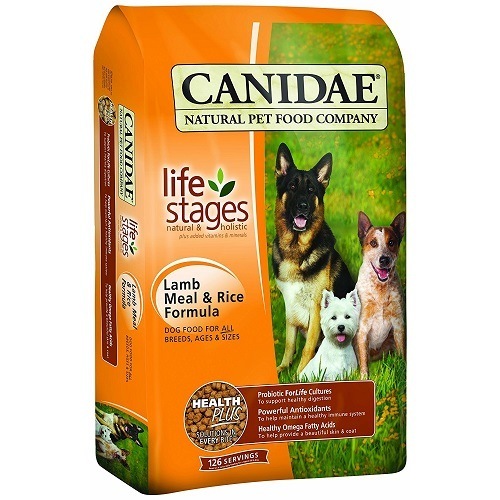 The Canidae Life Stages hypoallergenic dog food incorporates a single formula, targeting dogs of all ages. The dog food can also be given to puppies, senior dogs, and adults. There is no question about how easy feeding your dog can get with life stages dry dog food. The Canidae dog food is made with organic and additive-free ingredients. They use wholesome brown rice, peas, sage, papaya, etc. The hypoallergenic dog food also has a powerful combination of antioxidants, Omega-3 and six fatty acids for a stronger immune system and other vitamins. You don’t have to worry about allergenic ingredients, such as corn, soy, wheat, grains, etc. So, there you go, these are all the critical reasons and advantages you need to provide your dog with organic, hypoallergenic food. Dogs are highly susceptible to food allergies, which may also lead to several debilitating diseases and even death. This is why you should always be careful about what you feed your dog and consult with an experienced veterinarian.